The Federal Investigation Agency has declared former president Asif Ali Zardari and his sister Faryal Talpur absconders in a money laundering case. The agency presented a challan in the money laundering case in a Karachi city court on Saturday. Earlier, the Supreme Court removed the siblings’ names from the ECL and said they were not suspects in the case. At least 20 people, including Zardari’s close aide Anwar Majeed and his son, were also declared absconders after they failed to appear before the FIA for questioning. 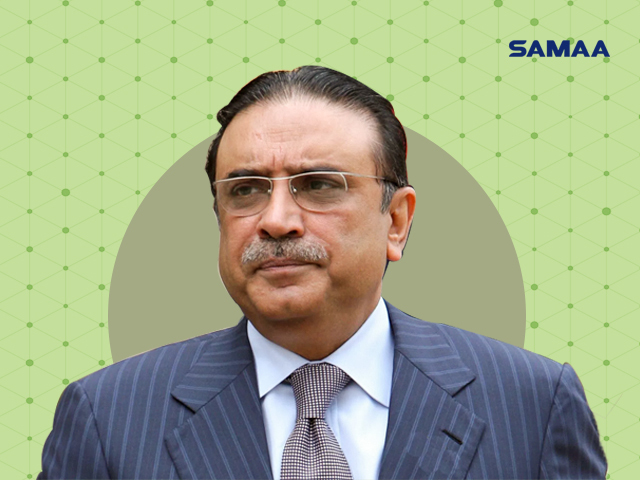 On July 6, the FIA had arrested Zardari’s other aide Hussain Lawai in the same case. Twenty-nine accounts belonging to seven people have been used to launder around Rs35 billion in Sindh, according to the FIA. These people made accounts in three banks — Summit Bank, UBL and Sindh Bank. The accounts are reportedly used by Majeed and employees of the Omni Group. Summit Bank alone had 16 accounts with transactions of Rs20 billion. Bahria Town head Malik Riaz’s son Zain Malik and Shahrukh Jatoi’s father Sikandar Jatoi had put money in the accounts. Zain reportedly put Rs2 billion in the accounts. The FIA has said that it fears that the accounts are used to launder kickbacks from Bahria Town and other housing projects.